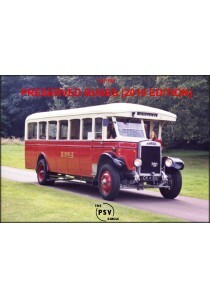 The PSV Circle Preserved Buses book lists all known preserved buses in the United Kingdom, the Republic of Ireland, the Isle of Man and the Channel Islands. It contains all known information as at March 2018 and is current to PSV Circle British Journal BJ937. The main list includes buses which are fully restored, under restoration, awaiting restoration and those preserved buses in active use with PSV operators. Appendices cover preserved trams, horse buses, self powered miniature psvs, preserved commercial vehicles on psv chassis and British-operated buses known to be preserved abroad. A further appendix lists the buses and trams normally on display at each bus or transport museum. 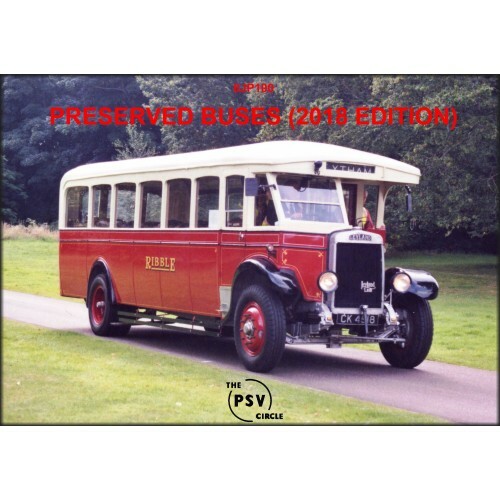 Although the list is as complete as possible, it is hoped that readers will notify any additions or amendments to ensure the PSV Circle can continue to maintain a comprehensive register of preserved buses.